Idlib, a refuge for millions of people who escaped from the conflict, is experiencing difficult times. While threats to the region are continuing, the problems of nutrition and housing are increasing. 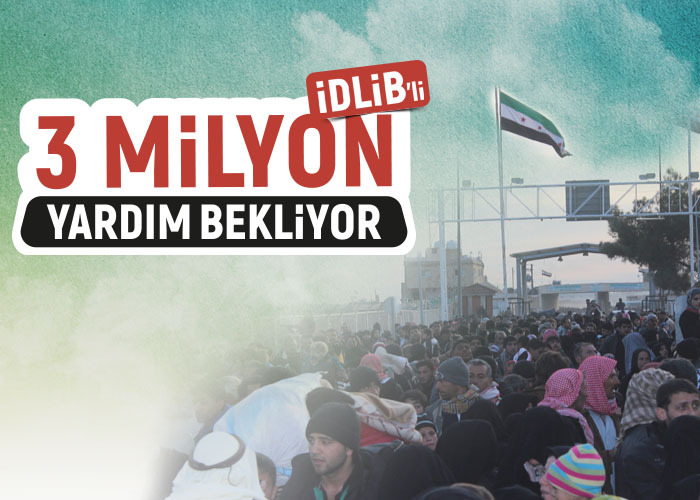 The people of Idlib await your support. Increasing threats, food shortages and diseases can cause hundreds of thousands of people to come back on track. After starting with the demands for reform, the humanitarian value in Syria, which is transformed into the arena of global reckoning after the intervention of international forces, is growing. 2 million people were disabled and 5 million people were abandoned in the battle where 500,000 people lost their lives. Now 3 million people living in Idlib face a new crisis. Most refugee families who are struggling to meet their daily food need basic living materials like as hygiene, food, flour and tents. More than 150 people live in the 6 containers and 27 tent cities established by the IHH, which continues its work in Syria with 10 coordination centers. IHH, which provided 61 bakeries, 30 kitchens and catering services for refugees, provided aid to Syrian refugees between 2012 and 2018 in the amount of 360.605.013 dollars.